The publications of the Bihar School of Yoga have served immensely the cause of spreading yoga across the world. 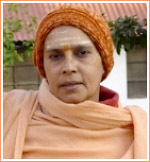 Swami Satyananda has written over 80 books and Swami Niranjanananda over 20 books so far. These books have been an inspiration for seekers and ultimate reference guides for researchers. The book “Asana, Pranayama, Mudra, Bandha” (APMB in short) is the largest selling Yoga book around the world. We are pleased to present here the highly popular books of the Bihar School of Yoga, assorted by various themes.